The Sulta­nate of Oman and Germany have enjoyed excel­lent rela­tions over the years that have been produc­tive for both part­ners. This book docu­ments bith these cordial connec­tions and Oman’s rich archaeo­lo­gical and national heri­tage. 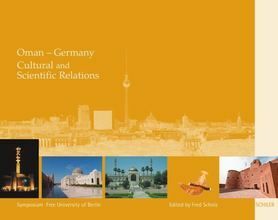 Five arti­cles present scien­tific output of Omani and German scho­lars in various fields and high­light the close coope­ra­tion between the Sultan Qaboos Univer­sity in Al Khod/Muscat and several coun­ter­part insti­tu­tions in Germany.